It has been a while since I didn’t post anything, that is because I was working a little bit on the concept of my project. 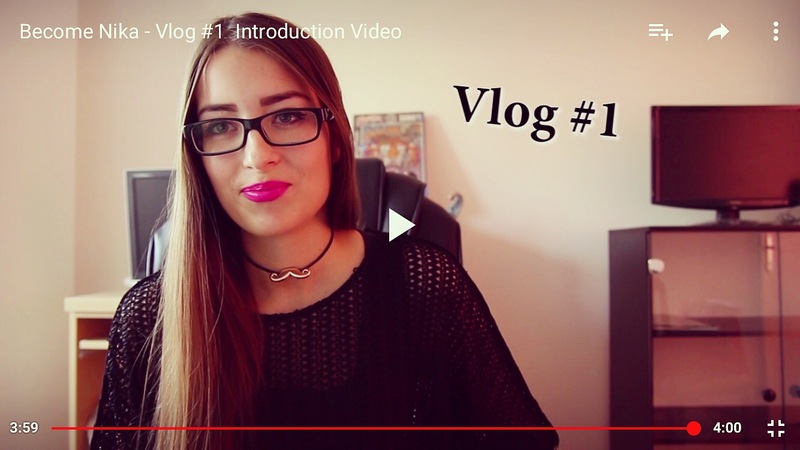 So I decided to switch from blog to vlog after consulting few of my friends…. So here you can find my first video and let me know what you prefer more. Human beings consider to be the most intelligent species in this world. I would say in theory yes, but if you look on practical examples….Humanity, you failed. Massive deforestation in order to make space for plantations making palm oil we use in our everyday products. The fastest way is to cut and burn which produces enormous carbon dioxide released to the air. This is stupid in many ways. Firstly because trees are taking carbon dioxide from the air and storing them forever releasing oxygen. Secondly, when you cut or burn those trees, all that carbon dioxide stored for years in those trees is released. And last but not least, smog that is the product of burning produces carbon dioxide and pollutes additionally the air. So the amount of carbon dioxide is doubled. Smart,no? So, the questions is why the smartest species destroy homes of less smart species? Is that a proof of intelligence? These animals lost their natural habitats for no reason. Ok, there was a reason – to serve people’s egoistic wants (not needs), but that part we can skip as always. Look deeply inside the eyes of those animals and tell me what you see. They lost their homes and it’s not their fault. When we lose our homes, it will be completely our fault. So world, beyond you can see animals, species that are less intelligent than we are. After this text I see judgment in eyes of this monkey. They are not smart enough to make money, use natural resources for their selfish needs, kill for additional penny. They are smart enough to know how to show love and humanity, that we once used to know. Even this tree now looks smarter after those pictures,no? Trees take carbon dioxide from the atmosphere and turn it into oxygen, more practical than any factory I can think of. And it’s created by nature. According to the eMarketer Mobile Media is today greater than Desktop and other Media. Why is that surprising when our phone is actually a pocket computer. Unfortunately the most common used technology has the shortest lifetime. One of the reasons is that brands are encouraging us to always strive to have the latest model. How many spare phones do you have in your house? Did you know that, like plastic bags, mobiles and other electronic devices can take up to 1000 years to break down? Searching the Internet there is a common term called planned obsolescence. It claims that mobile phones are programmed by producers to have 2-3 years lifetime so you always have to renew your device. There are thousands of people on the Internet who had complaints about their phone breaking right after the 18 months contract. Throwing away your old phones is extremely dangerous for the environment because phones are mainly made of toxic materials such as arsenic, lithium, cadmium, copper, lead, mercury and zinc. These poisonous substances may leach from decomposing waste in landfills, reach the groundwater and contaminate the soil. Metals that are found in the soil can enter the food chain and in sufficient presence may cause health problems. But throwing your old phone is not the only danger for the environment. The production of new mobile phones also leads to climate change by using up energy and virgin materials, which release greenhouse gasses into the atmosphere. How can we contribute to minimize this problem? Continue reading Mobile phones and the environment. How can we contribute to this problem? What is planned obsolescence? How are we manipulated by our favorite brands? People were using wool as clothing material since the Stone Age because of it’s various advantages. Wool is absorbing water vapor when humidity rises and falls, that is the reason why it works like a natural insulator. Wool can also serve as a UV protector. Since it’s a natural fabric, it’s in harmony body mechanisms and it isn’t causing allergies. It absorbs moisture and keeps skin dry. Wool lasts very long, much more than cotton or other material, and it is comparatively stronger than steel. The biggest wool producer in the world is Australia; on the second place is China. Using wool is environmentally friendly because it is reusable and biodegradable.Once a year sheep must be sheared anyway and the most important thing is that there are no killings or victims in order to take something useful from animals as usual. Besides clothing, wool can be used to replace insulation, which causes much less energy consumption. It is also sound proof and fire resistant. One sheared sheep can bring you 5 new sweaters or 70 pairs of socks.